Industry-seventh Five-Year Plan have been shown, all plan to incorporate the eighth Five-Year Plan. Under this scheme small as well as large scale businesses are encouraged equally. In Palghar District we have one developed Maharashtra Industrial Development Corporation(MIDC), three Government Cooperative industrial colonies, 5757 small registered Industries, 1883 temporary small registered industries and 427 large/medium industries exist. 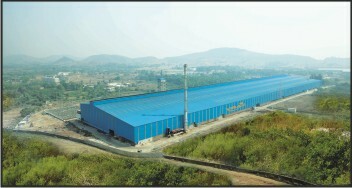 The Palghar Taluka Cooperative limited Industrial colonies,Taluka Palghar. The Vasai Taluka Cooperative limited Industrial colonies, Taluka Vasai. Priyadarshini Cooperative limited Industrial colonies, Taluka Wada. Industrial estates established by the Small Industries Development Corporation,Konkan and Maharashtra State Development Corporation MIDC Wood-based complex,WADA-22 Acre area, plot number-19. Their are Large projects under the Collective incentive scheme, a total of 15 large projects,in Palghar, Maharashtra government has given approved and of these 7 projects production has been started. Talukawise list of projects is attached. In Wada taluka total 8 large projects are proposed. Given the geographic composition of the district of Palghar, jangalapatti, bandarapatti and plateau region broadly fall into geographic segment.These geographical situation results appear on the people’s living and business. Jawhar, Mokhada & Vikramgad mountain forest areas, the main business is of farming. These areas are mainly of rice farming and finger millet And also has been successful in the use of turmeric cultivation. Besides, from forest collecting firewood , honey and medicinal plants etc are secondary products which is also a part of a business. In port strip areas the major business is fishing . As well as businesses is also based on drying fish, prawn culture etc. From Palghar taluka Satpati, dativare, murabe, Navapur, Dandi, alevadi, Nandgaon port and From Vasai taluka Naigaon, pacu port, Castle harbor,Arnala and Dahanu taluka including Bordi ,chinchani & dahanu has major fishing ports. For preserving fish, fridge & ice factory business also create jobs.In palghar taluka from satpati Pomfret fish & prawn these fishes are exported. District plain Plateau region industrial lease Exist. These mainly includes textile industry, chemical industry, engineering industry, steel industry etc. In Boisar Maharashtra Industrial Development Corporation, the Industrial Department of Tata Steel, JSW Steel, Viraj Steel, such factories produce steel And de-decor, Siyaram like clothes producing companies exists. From this small and large scale businesses and industries their is wide amount of job opportunities available and even get large amount of foreign currency. The Wada Taluka has been assigned as the ‘D’ class industrial level, Wada taluka have factories like Onida,Coca-Cola. In Vasai Taluka Vasai, Virar, Nallasopara, this places has developed small as well as large industrial areas. And in Dahanu Taluka chinchani,Tarapur has major businesses in traditional Dyemakings. In the district center government application letter filed and accordingly, acceptance received large industries Talukawise details Is as follows.